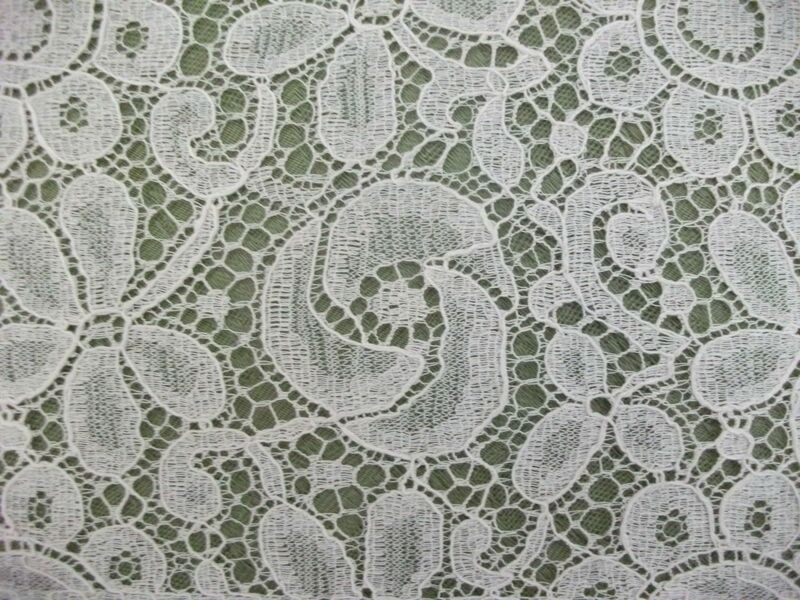 A truly beautiful lace insertion or edging available in a delightful Ecru / Champagne colour. The lace has one straight edge and another which has finely scalloped edges with a beautiful "Eyelash" touch, being 6" inches / 15cms wide. 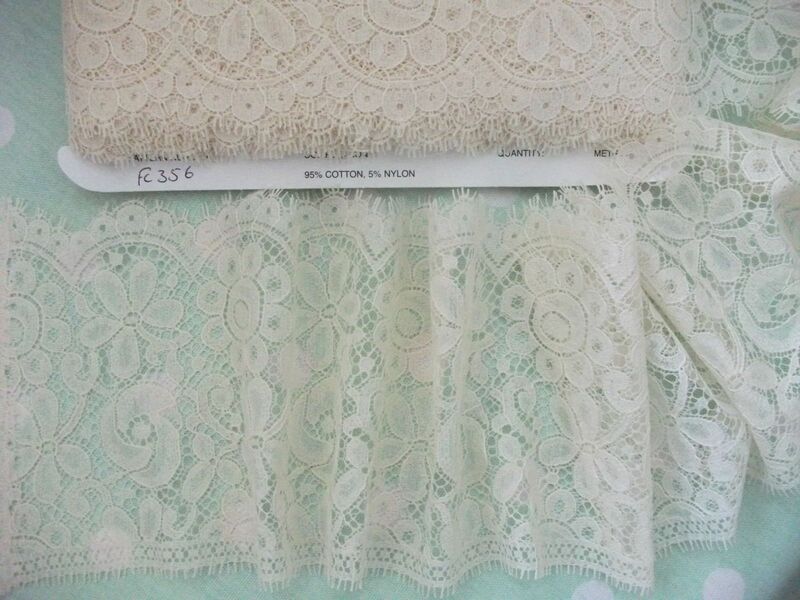 A truly beautiful lace insertion or edging available in a delightful Ecru / Champagne colour. 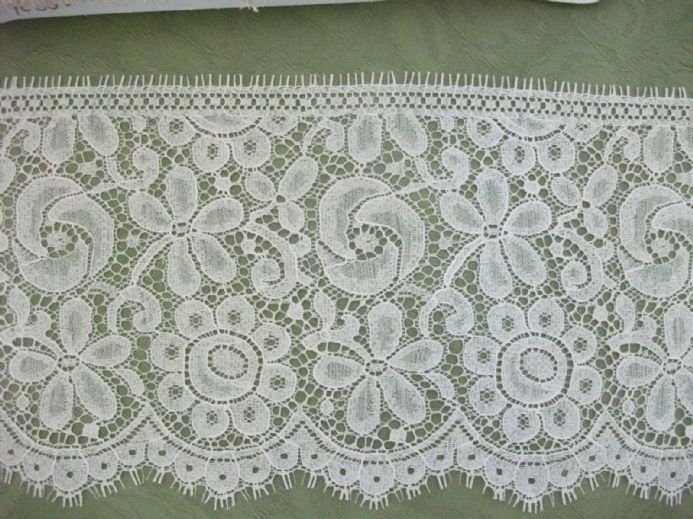 The lace has one straight edge and another which has finely scalloped edges with a beautiful "Eyelash" touch, being 6" inches / 15cms wide. It is made from a very good quality fine gauge cotton. The pattern of the flowers and leaves is slightly raised, the central run of "Mackintosh esque" roses and leaves are picked out in a beautiful, raised thread. 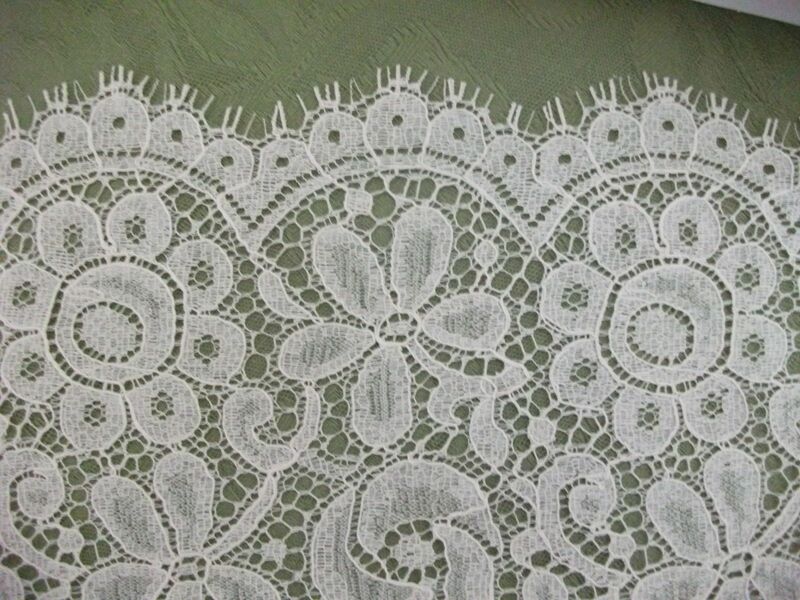 This lace has many uses, the most obvious being bridal but it can also be used as a trim on ladies and girls clothing in the world of fashion - on t shirts, blouses, shirts, and also as a edging on lingerie. 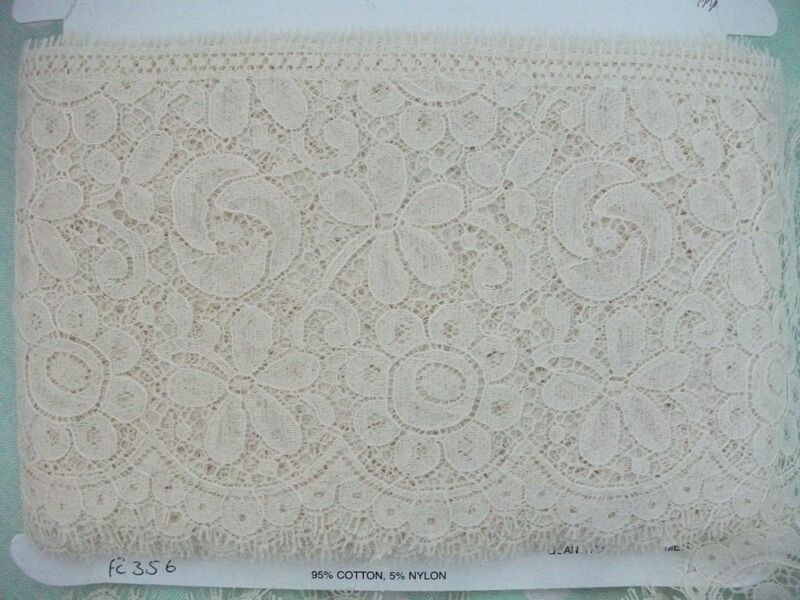 Supplies of this lace are VERY limited! Please ensure that you purchase sufficient to complete your project in one go as further stocks cannot be guaranteed.